Thanksgiving should be a time for celebration, communion, and reconnection with friends and loved ones. However, as we discussed in an adjacent post, the day before the Thanksgiving is also the worst day of the year for Los Angeles DUI arrests and accidents. So how can you protect yourself, your loved ones and other people on the road from injuries (and worse) this holiday? Here are 4 tips. 1. If you are going to drink, make a plan well in advance of partying. Studies suggest that once someone is the throe of merrymaking, judgments tend to go out the window. After you have already had two or three drinks is not the time to start to think rationally about how to get home. You need to “pre think” your exit strategy by identifying a designated driver in advance, hiring a taxi cab or just walking from place to place. 2. Be careful to avoid walking while DUI as well. Most people assume that if you walk instead of drive after consuming alcohol, you should be fine. However, as authors Stephen Dubner and Steven Levitt point out in the book SuperFreakonomics, when you crunch the numbers, walking under the influence is, mile per mile, potentially more even dangerous than driving under the influence. The reason is that, when you make bad decisions as a pedestrian – particularly at night if you are wearing dark clothing — you can easily get seriously hurt or killed. If you are in a car and you get into collision, you at least can hopefully rely on the car’s safety mechanisms, like airbags and seatbelts, to protect you against the worst of the impact. As a pedestrian, you have nothing shielding you. 3. Pay attention to near misses in the past. Have you ever gotten into a DUI wreck before? Do you plan to hang out with anyone who has been arrested for that crime or who has gotten into serious injury accidents? The best predictor of future accidents is past driving behavior. Pick up on clues left by the past, so that you can more effectively manage your own behavior and minimize risk. For instance, say your cousin Arnie comes to town and wants to go bar hopping with you. But you know that cousin Arnie has two DUI priors on his record; you might want to aggressively suggest that everyone take a cab. 4. Organize Thanksgiving events in a way that requires less driving overall. One of the best ways to prevent problems is to negate temptations altogether. For instance, maybe you and your family typically go out to a restaurant that serves copious amounts of alcohol. Consider changing your plans this year, so that you all stay at someone’s house, so that you are not tempted to drink and then get behind the wheel. For help dealing with the aftereffects of a crash or arrest, call a qualified Los Angeles DUI attorney with the Kraut Law Group today for a free consultation with a former Deputy District Attorney with nearly two decades of experience fighting on both sides of these types of cases. All these days actually do witness an above average rate of DUI driving, and you need to take special precautions during those holidays, whether you are driving or walking around as a pedestrian. But there is one day that’s actually substantially more dangerous – and that day is the day before Thanksgiving. That might strike many people as strange. 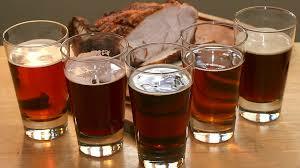 Why would the day before Thanksgiving be a time for DUI driving? The answer probably has to do with the behavior of college kids who are returning home from college to their families for the Thanksgiving holiday. For college students who have left home to go to college, Thanksgiving break is often the first time that they get reunited with their high school friends. And even though young people cannot legally consume alcohol until they are 21-years-old, many people who go off to college find ways around these restrictions and end up experimenting substantially with alcohol during their first 2.5 months of college. So when they come home, they may be still in a giddy experimental stage with alcohol. These young college students come home to meet up with their friends who are also experimenting. Thus, things can get a little haywire. Some statistics suggest that the spike in DUI rates over Thanksgiving can be at least partly attributed to this kind of “college student effect,” although more research is needed to determine the real truth. So why would the night before Thanksgiving be more dangerous than Thanksgiving itself? The answer again comes back to patterns of behavior. On Thanksgiving, most people stay in with their families and eat and watch football and talk. In other words, there is not a lot of mobility. 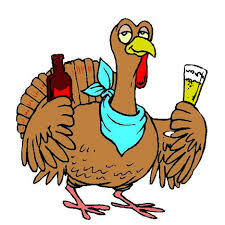 So even if people might be consuming lot of alcohol on Thanksgiving, they are staying in. On the night before Thanksgiving, however, many people who have already returned home for the holidays, but they are not necessarily hanging out with their families. Hence, we see this spike in DUI accidents on the day before the holiday. So what can you do if you or someone you love got arrested for DUI driving during the Thanksgiving holiday? Your first step should be to contact a reputable Los Angeles DUI defense lawyer, like Michael Kraut of the Kraut Law Group. Mr. Kraut has an extensive track record of success as both a prosecutor and a defense attorney; he previously served as a Deputy District Attorney for Los Angeles for nearly 15 years. He and his team can provide critical guidance you need to make your decisions. Call today for a free consultation.